In a bid to spread its important message on sustainability, a delegation from the Mirpuri Foundation visited Gil Vicente school in Lisbon to explore with the children there the growing problems associated with plastic pollution. Foundation Founder and Medical Adviser, Dr. Luíza Mirpuri, was joined by Foundation Public Relations Ana Agostinho, on the visit to the school, where the pair led a Sustainability Workshop presented to round around 100, mainly 11 and 12 year-old pupils. In opening the session, Ana sought to establish the level of the children’s awareness of sustainability issues and explained to them the serious pollution problems now arising from the often single use of plastic items, not only in Portugal but across the world. “I spoke to the children about the growing levels of pollution that our oceans in particular are currently facing, and emphasised that each of us has a part to play in tackling this problem ” said Ana. “These children are the decision and policy-makers of the future. It’s important then that they are left in no doubt about environmental hazards that previous generations have failed to recognise and address. Ana illustrated her presentation by describing some of the initiatives being taken by the Foundation, and encouraged the children to consider environmental alternatives to single-use plastic items forming part of their own everyday lives. The children were given the chance to examine alternative products such as bamboo toothbrushes and cutlery, which were passed around to be discussed as the children offered their own ideas for possible substitute materials. The children were also given information on how plastics begin to break down into microplastics over the years, and they were shown how these tiny polluting particles are fed into the oceans and spread around the planet. 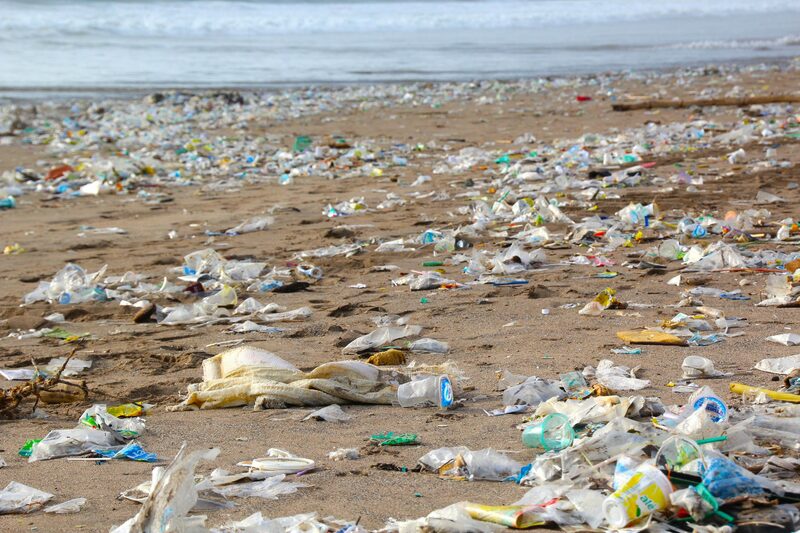 One statistic which proved to be an eye-opener to the assembled pupils was how long it takes for plastic to disappear after it has been produced, with youngsters surprised to discover that it never fully disappears at all. The second part of the Mirpuri presentation was given by Doctor Luíza, a respected international voice on the negative impact of microplastics on human health. Dr Luiza warned the pupils that plastic is slowly “killing the human race”. She told them that the world is already registering an increase in the number of individuals suffering from cancer, allergies and infertility, and asked the children if they were willing to stand by as their generation suffered and became susceptible to new diseases arising from the little-understood effects of plastic as a contaminant. Pupils were shocked to hear how microplastics affect the urinary tracts of human babies, and how, notwithstanding these effects, plastic is continuing to find its way into every aspect of their young lives, including the food on their plates and the clothes they wear each day. Dr. Luíza also spoke to them about research showing how the growing use plastics was linked to diseases such as asthma and cancers. As the Workshop drew to an end, 15 of the children volunteered to be interviewed and to say what they had learned from the Foundation presentations and what they may change in their lives as a result of what they had discovered. As pupils left for the day, each was presented with a reusable bag for school use; a bookmark made entirely of recycled paper, and information and tips on how to reduce their plastic footprint. This initiative of the Mirpuri Foundation is part of the Annual Conference Cycle powered by the School Library (À Conversa com), where the Science teachers were invited partners of the Library. The Mirpuri Foundation thanks the School Library and the Science Teachers of Gil Vicente School, that made this workshop possible. Another workshop is already scheduled to the 9th graders students and will try to coincide the school curriculum to plastic as an endocrine disruptor.